﻿Inspired by both milestone emotional events from the writer's life as well as her artistic influences, the story is designed as a vehicle not only for self-exploration but as a call for catharsis to anyone who has ever been in a life altering relationship, for the good or the bad. It deals explicitly with some of the most hidden, unspoken and disturbing moments that we experience in romantic and personal relationships. The emotional and psychological aspects of the narrative are portrayed as an eye-opening, reawakening juxtaposition to Real Life as we all experience it. 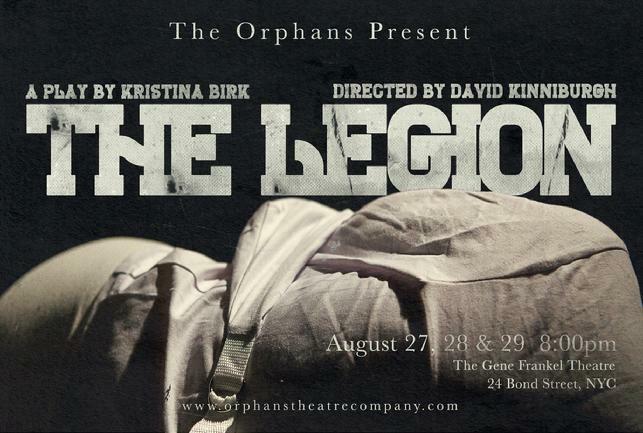 Aug 27, 28 and 29 at 8pm. "The Orphans" is a production and theatre company consisting of seven members: Victoria Bennett, Tim Rerucha, Philip Calabro, Julian Mosley, Ashley Hearon, Nahuel Gorosito and Kristina Birk. The group was born in 2012 in New York City thanks to Dave Esteve and Victoria Bennett. The major goal of the group is primarily focused on practicing various aspects of acting and improvisation along with brining in new materials for creating original work. 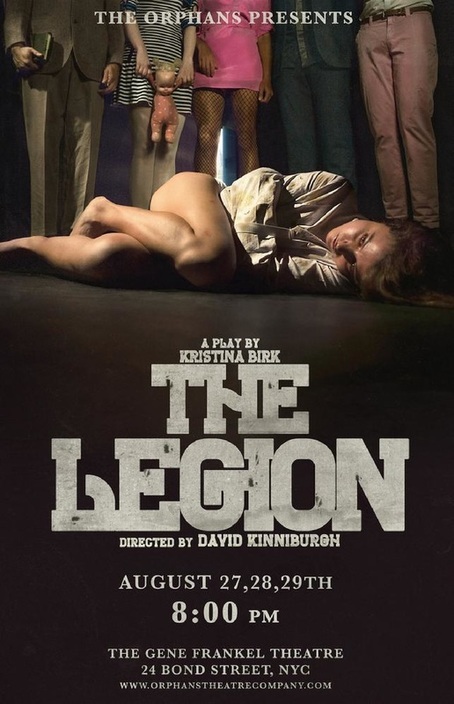 "The Legion" is The Orphans’ sixth original project that came after the webseries "Adultish" and the play "In Thunder, Lightning, In Rain! ".